After Blue March, I wasn’t exactly sure where to go for the next B-Movie Enema. I mean where do you go after you’ve watched five consecutive pornos from the 70s and 80s? Who or what should I feature that could possibly make you feel a little less sleazy about watching pornos for your movie review site? Then it hit me – Brad motherfuckin’ Jones. 1. Kids went to college. 2. 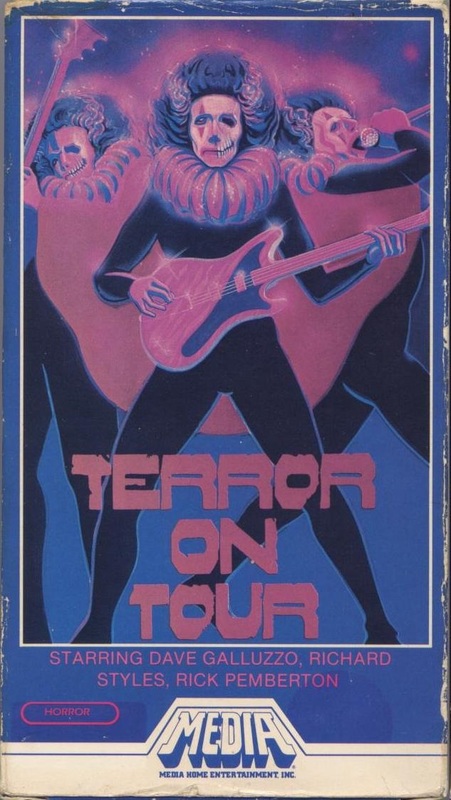 Slasher movies happened – sometimes at colleges. The topic of this week’s B-Movie Enema is the 1984 slasher flick, Splatter University. However, it’s not really 1984. The film was initially filmed in 1981. When the runtime was only 65 minutes, they went back and filmed 13 more minutes in 1982. So, really I guess this movie has three potential years of release. I’m gonna guess it doesn’t take too much to understand why I’m doing this movie, but, nonetheless, this week’s B-Movie Enema is a little 2014 “comedy” I found on Amazon Prime Video called After School Massacre. 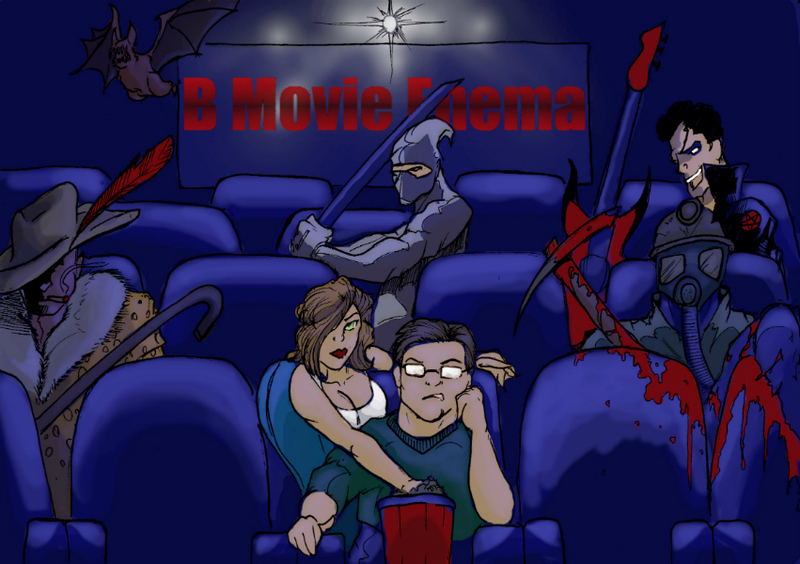 So here’s a bit of a rarity on B-Movie Enema – a movie I’m coming into practically blind. Since returning from hiatus, I’ve written about a Canadian movie and a movie from 1987. This week, I cover a 1987 Canadian movie. Huh… Funny how things work out. 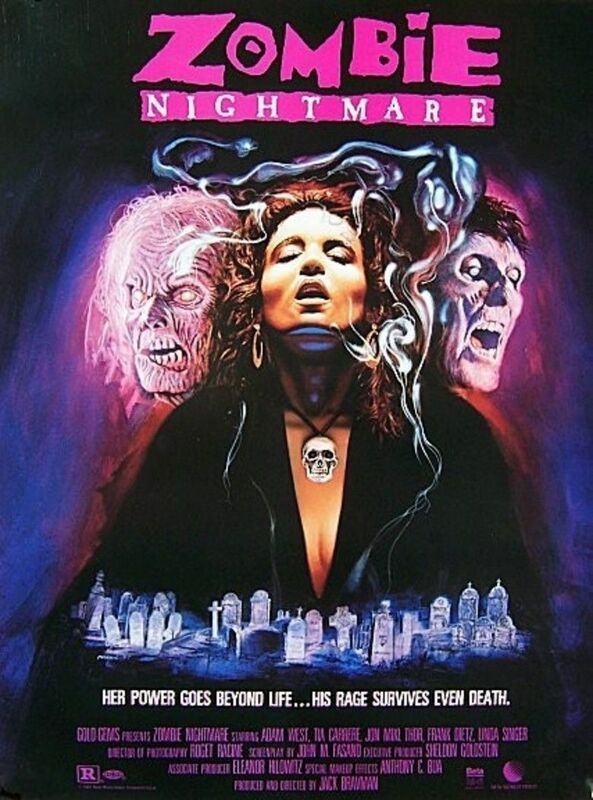 Zombie Nightmare is one of those flicks that marries heavy metal and horror. I’ve touched upon this before with Black Roses – which also happens to be a Canadian horror movie. However, this one has a few very distinct reasons for why I wanted this on the blog.